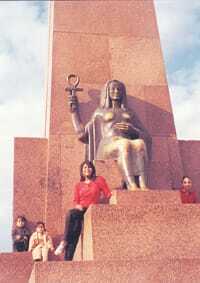 To me, Egypt is a lot more than the pyramids, the Sphinx, the Luxor temples or a cruise down the Nile. For thousands of years, it was home to the greatest dynasties, epic battles, grand tragedies, flourishing trade. 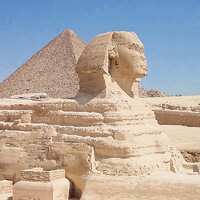 Egypt encompasses the best of the Pharaonic era, Hellenism, Christianity, Islam and elements of the modern West. Egypt, for me, was always this mystical, profound enigma that only a personal visit could unravel. Yes. Once we decided on Egypt, the vast amount of information available (on the Internet, Lonely Planet, etc.) and tips from friends who had travelled there in the recent past helped form the itinerary. I just had to ensure none of the key cities, towns or monuments across the country was omitted, as I was afraid I wouldn’t be able to return soon. What was your first encounter with Egypt like? In Cairo, we stayed at the Hotel Sheraton Royal Gardens, about 4-5km away from the Pyramids of Giza. The next day, we came face-to-face with the Great Pyramids of Khufu, Khafre and Menkaure. You can enter King Khufu’s pyramid through the north face and a long, rickety climb takes you to the king’s chamber in the heart of the structure. An eerie, sobering experience…not for the faint-hearted. Later, we viewed the magnificent Sphinx, visited the bustling Khan el-Khalili Bazaar and came back to the Giza Plateau for the breathtaking sound-and-light show, which depicts the history of Egypt. From Cairo, we did an excursion to Alexandria, the site of Pompei’s Pillar, the spooky yet well-preserved catacombs, the Roman Theatre, the grand Bibliotheca Alexandrina and the stunning Montazah Palace, besides the Fort Qaitbey, which is built around the famed lighthouse. We also did a full-day Cairo tour to absorb the sights and sounds of this bustling city. I especially enjoyed the Old City, aka Coptic Cairo, which houses five historical churches as well as Egypt’s first mosque and synagogue. We took an overnight train to Luxor, from where we were to cruise down the Nile. But before setting sail, we visited the royal tombs of Tutankhamen and Ramses the Great at the Valley of the Kings, the Deir el Bahari and the gigantic Colossi of Memnon and the awesome temples at Karnak and Luxor. One only has to see these temples to grasp the sheer size, scale and grandeur of Egypt’s past—everything is so gigantic that my neck hurt with the constant staring up. On the cruise, we stopped at Edfu and Kom Ombu, the site of an unusual double temple built during the Ptolemaic and Roman periods, dedicated to the crocodile god Sobek and the falcon god Horus. On the third morning, we sailed into Aswan. One night. We did a half-day city tour, which covered all the sights. The most memorable was the Philae Temple, a Ptolemaic temple complex dedicated to Isis on the island of Philae…the island floats like a rare jewel in a pool of royal blue. The next morning, we left for Abu Simbel at 4.30am in a military-escorted van. Apparently, the temple complex dedicated to Ramses II faces a lot of threats from radical groups—that’s why the security. And then back to the capital? Yes, for some time with our friends. We also drove to the Suez Canal. The sheer simplicity and raw beauty took our breath away. The waters are an amazing mix of emerald green and turquoise blue, and the whole place is beautifully maintained. So, Egypt lived up to your expectations. I went there expecting a Third World country with some crumbling monuments, statues and ruins. I came back with an idea overhaul. The beauty of the past is so well maintained, the cities, towns and villages so clean, the locals so friendly. Another thing that stays with you is the regard they have for us Indians. The moment they heard we were from India, they would go, “Aaah…Amitabh Bachchan!" Every single Egyptian I met went out of his way to help us, show us around, offer amazing discounts. I must also add that all Egyptian men are dashing, warm-blooded flirts: Single women are quite likely to be flooded with marriage proposals and a dowry deposit of camels. But wasn’t it a bit lacking in, well, fun? Not at all. For a shopaholic like me, the Khan el-Khalili Bazaar in Cairo was paradise. I picked up Oriental perfumes, jewellery, crockery and a set of mouth-blown fiery red wine glasses with 24-carat gold accents. There were sumptuous Egyptian meals, shisha hukkahs and traditional barbeques and a galabiya costume party on board the cruise ship. Like Herodotus wrote of Egypt in the 5th century, “Nowhere are there so many marvellous things…nor in the world besides are to be seen so many things of unspeakable greatness." Almost all Gulf-based airlines (Emirates, Oman, Gulf Air) fly to Cairo from New Delhi and Mumbai. Round-trip fares range upwards of Rs30,000 and Rs40,000 respectively.